Ron Arons has no problem airing his family’s dirty laundry. In fact, he’s making a living at it. The Oakland hills author has just released his second genealogy book called “WANTED! U.S. Criminal Records,” a guide to help readers find family members who’ve run afoul of the law. Most of us have a black sheep in our family, according to Arons, who unearthed his own family secret about 15 years ago. “It’s my belief that by doing enough research, the odds are very high that someone has one or more criminals in their family,” he says. “If not criminals, then at least black sheep.” Arons’ unlikely path to becoming an expert in criminal research started when he lost both parents to cancer about 16 years ago. In researching his family tree, he was shocked to learn that his great-grandfather, Isaac Spier, did time in Sing Sing for bigamy. “I thought ‘this really can’t be my great-grandfather. This can’t be my family.’ It sort of rocked my world because it meant that this goodie-two-shoes here was related to him, and by extension — you go down in generations — I was one-eighth criminal.” Yet Arons had never been cited for anything worse than the occasional traffic violation. Yes, there was that time at age 6 when he got caught trying to shoplift, but it was such a humiliating experience he never tried it again. As a nationally-known speaker and scholar, Arons’ new book takes what he learned about researching criminal records and puts it into a 388-page reference guide. It’s a complete guide to finding everything from prison and parole records to police reports and even execution lists. But lest you think it’s all serious business, there’s a lighter side to Arons’ endeavors as well. 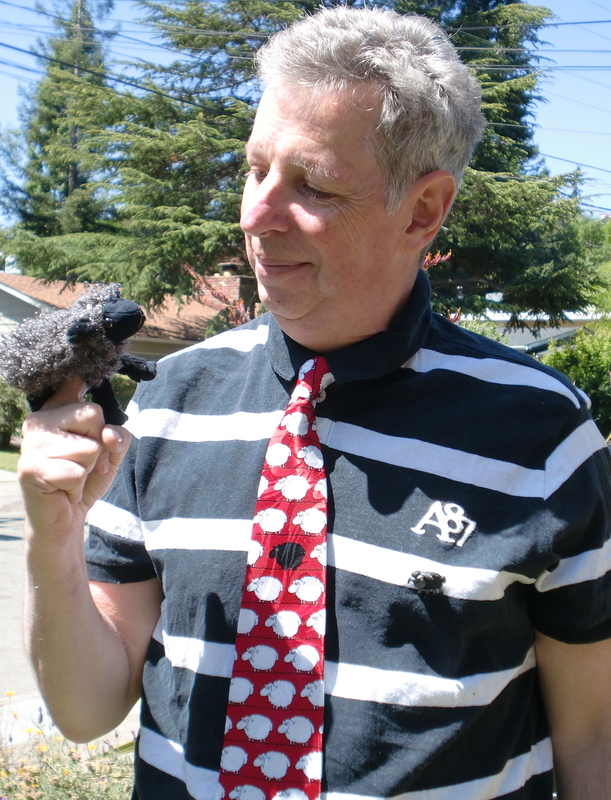 His website now features a collection of black sheep “tchotchke”-like shirts, ties, earrings and pins. And the stuffed sheep are starting to take over his house. “This one was imported from Israel,” he says as he holds up a handmade creation from artist Itamar Tal. “If you think these were easy to get through Israeli airport security, think again.” It’s all in a day’s work for a man who’s found a way to put the “fun” in family dysfunction. Ron Arons’ website is http://www.ronarons.com. His “black sheep” blog can be found at http://www.jewsofsingsing.com/blacksheepblog. ← Town Crier: What kind of car are you?